For our readers the keyboard from Yamaha we will review today is CP 73 and CP 88 which are one of the best model of CP Stage Piano Series from Yamaha (Yamaha CP 4 is a also a good contender). 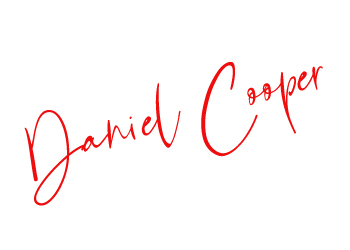 The new CP series features authentic sound and realistic touch as that of acoustic keyboards. 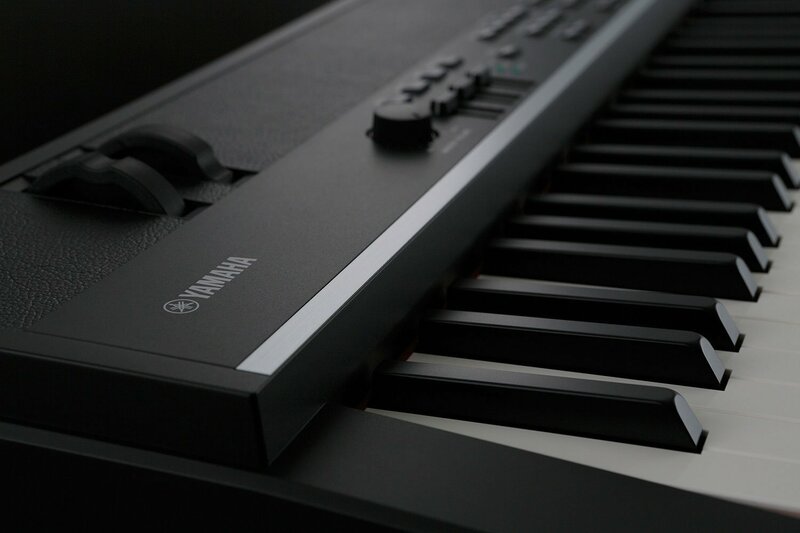 The new Yamaha CP series also features an all-new design featuring one to one interface that makes it easy to create your own sound and interact with the instrument in real time. CP series is really one of the finest series of keyboards and is perfect for all level of keyboard players especially for pros though. Currently it is yet to come to market and only available via pre order. So lets see what this CP stage piano has to offer to us. There are two models in this CP Stage line of Keyboards. 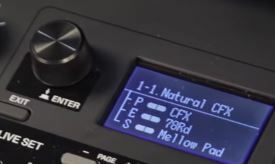 The CP 73 stage piano features a 73-note “E-to-E” (like bass and guitar) balanced hammer action. The 73-note is a great size for a gigging keyboard player. 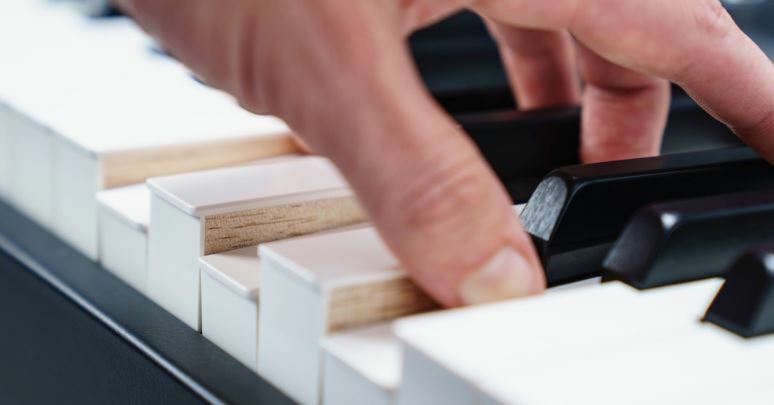 The balanced hammer action on the CP73 is perfect for those who are focusing on electronic pianos, claves organs or other types of instruments. The CP 88 piano features an 88-note natural wood graded hammer action keys. The graded hammer action means, it’s heavier in the low and the lighter in the high end to simulate the feel of a grand piano. In fact, it also has a synthetic Ebony and Ivory key top; so, it feels great at the fingertips. It also reduces the moisture and makes your fingers less slippery even after continuous hours of playing. It also has a triple sensor action. The triple sensor action means you can re-strike the note before it returns from a full keystroke just like on a grand piano. This allows you to play repetitive notes at a very fast speed without any delay. As a pianist I really liked how Yamaha takes care of these minute details. This is what makes Yamaha one of the top notch keyboard manufacturer. CP 88 offers a wide range of piano sections which can be switched easily according to the required tone. The CP 88 has three piano sections. They are, electric grand piano, grand piano and a sub section. 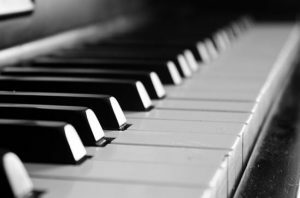 There is also a selection of upright pianos which is really awesome because an upright piano sound is hard to find in regular digital keyboards now a days. 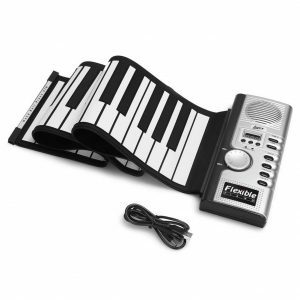 You will also get the CP 80 electric grand piano and a layered piano sounds too. When you select any of the piano sound from the piano section you will notice that there is whole different set of controls gets activated according to the section and sound you select. Giving you total control over your music. There is also a LED rotary encoder, to highlight the current setting on the board. Another worth mentioning control is the tone control option which allows you to make your tone brighter or darker. All of these features and controls are categorized separately according to the section you selected for your music. You just need to turn on the specific section and you are all set. As mentioned earlier section controls offers a wide array of controls like split control,octave section and much much more. "Have a Look At This Impressive Overview of CP 88 and CP 73"
Each of these controls is going to be the same in each section what’s different is the effect that you can use with each section. It also has a damper pedal resonance which you can turn on and off easily from the front panel. It come useful when you are performing a live gig and does not want to have that sympathetic vibration. In the piano section, you have things that are specific for an acoustic keyboards only like damper pedal resonance or stuff like compressor. 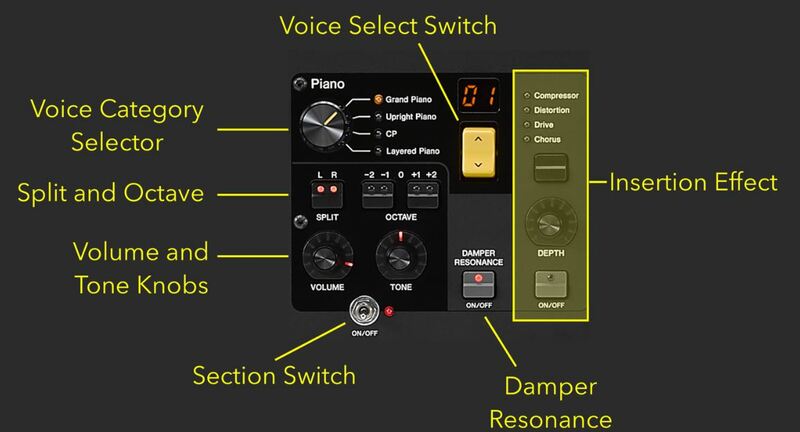 You also get some stuff that you might want to use on a piano like a distortion or a chorus effect. The chorus effect is awesome for an upright piano which is used a lot of times I hear in Pop music today. In the electric pianos section you will get effects that are specifically designed for this section. 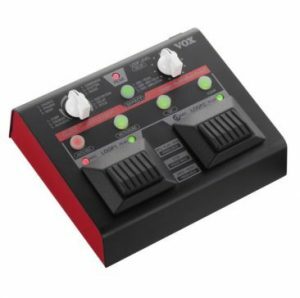 Like touch wah, pedal wah, (you can also plug-in a FC7 to the continuous controller foot switch and use the pedal effect to control it like a wah-wah pedal) . It also has compressor, ring modulator, a tremolo and auto pan. The second set of effect are the phasers and flanges which uses the virtual circuit remodeling technology from Yamaha. This technology does an awesome job of creating that authentic vintage sound with the mentioned effect in the electric piano section. Now in the sub section, you have things like pads, strings, organs and so on. You also have some common controls like chorus and flinger, tremolo and distortion effects. One of the minute detailed control that CP 88 offers (never seen this in any other keyboard so far) is an attack and release setting for the amplitude envelope because there are some synth type sounds where you might want to use a longer attack or a longer release on a pad sound to add in your piano or in the electric piano. Now coming to the last section. It is the section where master effects are. In this section, you have a delay, a reverb and an EQ. For further control you have a master EQ that you can turn on and off as per your setting. The EQ button is at extreme right of the instrument so it can’t mess with other setting on the board. That’s not all, there is still a lot features that CP stage piano from Yamaha offers. On the very right of the keyboard you will get a lot of different other settings to learn and explore. 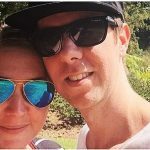 Lets look at some of them. As CP stage pianos offers so many settings it become very easy for new comers to get confused. The best part is if you find your perfect setting for any particular part then you can save them in option termed as live select on the front panel of the keyboard. The live buttons gets illuminated when you select them. For easy configurability CP 88 also has a push and turn knob. 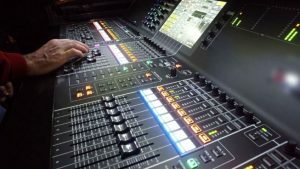 To move through the sounds all you have to do is simply rotate the button and you will see the sounds scrolling in the display panel above live buttons. And you just need to press the knob at the top to activate the selected sound. The panel also has split point, transpose and touch response. These setting are extremely easy to use and the interface is also nice and clean making it quite easy for all level of musicians. The OS for CP stage piano offers lots of other interesting features to explore and create something new. The OS gets update regularly with new contents and features (the current version is 1.1). In this version you will get an all new Yamaha C7 acoustic piano sound (it is the most recorded pianos in the world). There is also an all new Reed piano that basically known as backline reed. It also has a unique time piano which is known as the 67. The 67 was a very specific instrument which is the most favored backline reed piano that was used by all the artists in LA. This is simply one of the best vintage piano you will ever hear “the 67 reed piano”. So these are the things you will get in the current OS version of the Yamaha CP stage piano. For updates check Yamaha for more info, tuts and other stuff just have a look at Yamaha synth official site here. The great thing about this keyboard is that when you play it, it feels really good. It has a metal case body, very well built but yet it’s still super lightweight. It can be compared with CP4 stage piano but is way more feature rich and advance and of course one step above CP4 for sure. The only downside as a reviewer I can count is the price. The price of CP 88 and CP 73 is $1800+ which seems a lot. But if you are a professional you know its worth it. Both of the CP series keyboard CP 88 and CP 73 is simply a master piece and offers everything a professional can looks for. The CP series is great option for your next stage piano. The above mentioned all the features allow you to be creative with the CP series. You can thank Yamaha engineers because the CP series is really awesome and is surely impeccable. That's all from my end hope this review helped in making a informational decision in picking up your next must have musical instruments. This entry was posted in Keyboards (Piano), Yamaha. Bookmark the permalink. 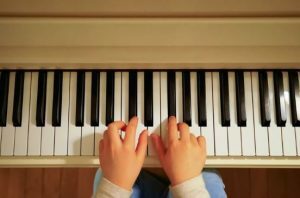 Why People Quit Learning Piano ? 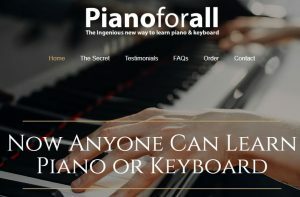 Is Learning Piano Hard ?